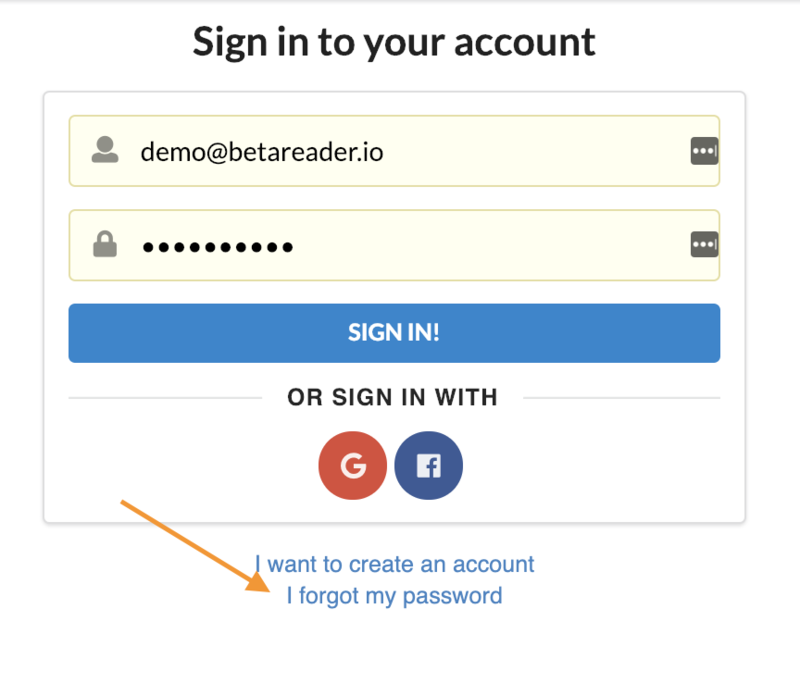 BetaReader supports both email/password login as well as social log in from Facebook, Google, Twitter. selected "I forgot my password"
1. Go to their respective web site and reset your password there.